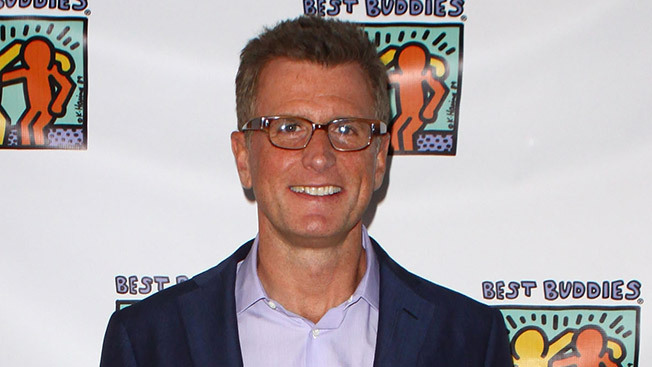 Kevin Reilly, the former chairman of Fox, has been out of a job since just after the upfronts in May. Now, he's landed one of the most interesting gigs in cable television—running TNT and TBS. The executive has been named chief content officer. Steve Koonin resigned as president of Turner Entertainment Networks to take a job as CEO of the NBA's Atlanta Hawks in April, and the networks have been without a leader since then. Reilly will report to David Levy, formerly the head of ad sales at Turner and now the head of the whole company, and he will be based in Los Angeles. "Kevin is one of the most respected, innovative and influential executives in the television industry, and he's joining Turner Broadcasting at the ideal time for him and for the networks," Levy said. "Kevin brings a tremendous track record of success not only in terms of programming hits but also in the new media arena, where he was among the first broadcast network executives to push for meaningful investment in digital and social media. He has never shied away from taking bold programming risks and being a true champion of quality television." Reilly left abruptly in May after a poor ratings performance by Fox in the 2013-14 season—mostly due to collapsing American Idol viewership, which was hardly Reilly's fault, and a prime-time slate that isn't shaping up to be what the network had hoped, to put it mildly. But to be fair, Reilly's record has plenty of success stories, too: New Girl, Glee, The Following and Brooklyn Nine-Nine all arrived at the network under the exec. As Turner's chief content officer, a new position, "Reilly is charged with more strategically leveraging content acquisition for TNT, TBS, Adult Swim and truTV," according to a statement from the company. Other execs had been rumored for the position. Jeff Gaspin, the chairman of NBCUniversal who preceded Bob Greenblatt, was among the front-runners. Gaspin's latest project, with ousted CNN president Jon Klein, is Tapp, a sort of miniature online suite of subscription-based cable networks, including one run by Sarah Palin. Gaspin's programming accomplishments were mostly in the unscripted realm—The Biggest Loser, The Apprentice, and Queer Eye for the Straight Guy were all shows he helped shepherd. Reilly's quote from Turner's statement was characteristically blunt: "My six-month journey through the robust but chaotic media marketplace led me to reconfirm a less novel idea: the best place to create, distribute and consume premium television content today is cable TV."